We will design and create landscapes, hardscapes, outdoor rooms, irrigation systems and aquatic features like none other. TBI Unlimited, LLC aims to develop exterior living spaces within commercial and residential landscapes, by “Blending Artistry with Craftsmanship” in a manner which unconditionally satisfies the consumer and profits our organization. TBI Unlimited was established in 1999. The founder, Bill Taylor, holds certifications and licenses in horticulture and chemical application. He has a Bachelor of Science Degree in Ornamental Horticulture & Environmental Design from Delaware Valley College. 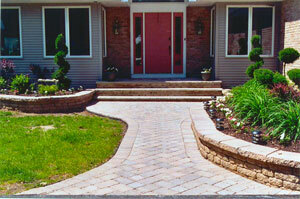 Bill has been designing outdoor living solutions for over 20 years in and around Southern New Jersey. Bill and his professional crews use their project management experience to complete all of their projects on time and under budget. Other than the degrees and certifications held by the company’s proprietor, educational backgrounds of team members include degrees in Professional Studies and Liberal Arts, graduation of high school and the school of hard-knocks. Masters of mechanics, carpentry, construction, masonry, painting, and electric constitute the Unlimited ability of TBI. Employees bring a wealth of talents such as musical entertainers, baseball players and rodeo athletes to complete a well rounded company. Most team members have been with the company for an average of three years, while others have been here five years or more. TBI is a diverse family comprised of multi-lingual individuals from several ethnic backgrounds, different religions, as well as two different origins of birth. Our team consists of three highly skilled groups of individuals which are backed up by our friendly support staff. TBI Unlimited employs two Hardscape crews and one Turf Maintenance crew.